A Pulitzer Prize-winning historian's acclaimed Civil War history of the complex man and controversial Union commander whose battlefield brilliance ensured the downfall of the Confederacy. 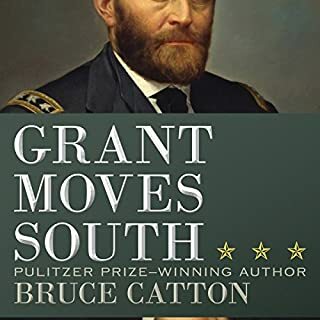 Preeminent Civil War historian Bruce Catton narrows his focus on commander Ulysses S. Grant, whose bold tactics and relentless dedication to the Union ultimately ensured a Northern victory in the nation's bloodiest conflict. Was the Confederacy doomed from the start in its struggle against the superior might of the Union? Did its forces fight heroically against all odds for the cause of states’ rights? In reality, these suggestions are an elaborate and intentional effort on the part of Southerners to rationalize the secession and the war itself. Unfortunately, skillful propagandists have been so successful in promoting this romanticized view that the Lost Cause has assumed a life of its own. 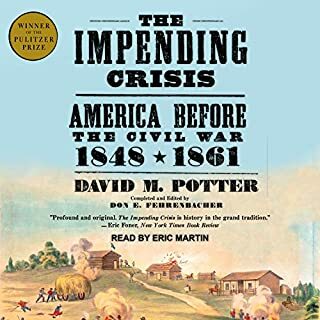 Putting down "The Great Pro-Slavery Rebellion"
The Civil War battle waged on September 17, 1862, at Antietam Creek, Maryland, was one of the bloodiest in the nation's history: On this single day, the battle claimed nearly 23,000 casualties. In Landscape Turned Red, the renowned historian Stephen Sears draws on a remarkable cache of diaries, dispatches, and letters to recreate the vivid drama of Antietam as experienced not only by its leaders but also by its soldiers, both Union and Confederate. 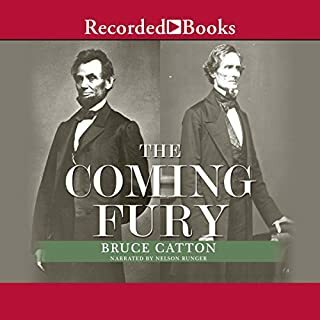 This audiobook is the classic one-volume history of the American Civil War by Pulitzer Prize winner Bruce Catton. 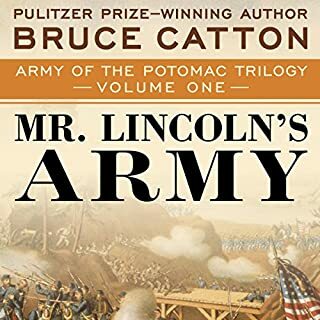 Covering events from the prelude of the conflict to the death of Lincoln, Catton blends a gripping narrative with deep, yet unassuming, scholarship to bring the war alive in an almost novelistic way. It is this gift for narrative that led contemporary critics to compare this book to War and Peace, and call it a "modern Iliad." 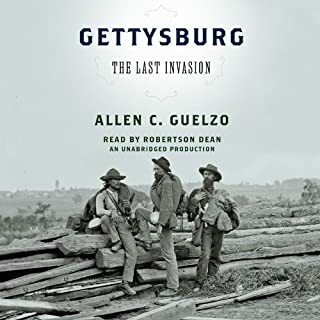 Now over 50 years old, This Hallowed Ground remains one of the best-loved and admired general Civil War books: a perfect introduction to listeners beginning their exploration of the conflict, as well as a thrilling analysis and reimagining of its events for experienced students of the war. Unfortunately, I can barely stand this narrator. He is very "droning" and monotonous. 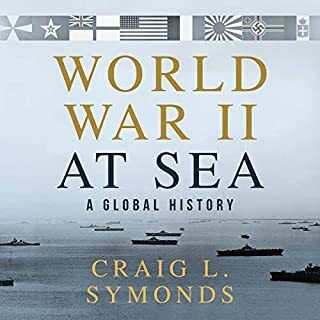 I'm about halfway through this book, and the only reason i can stay with it, is due to the excellent detail beneath the poor narration. I wish they would re-record this with a better narrator, but we know that won't happen. This book, written in 1955, is still one of the best one-volume Civil War histories. Other authors have built upon this, such as James McPherson and Allen Guelzo, but you won’t be disappointed if you get this book. Mr. Catton is a fantastic writer. This version, recorded in 2018, is done well. Excellent narration. Exciting story construction. A very well told compilation of events in the Civil War. I cannot give this book a higher recommendation. I am 35 years old and I only recently decided to learn more about the Civil War—a conflict I avoided because it depressed me. 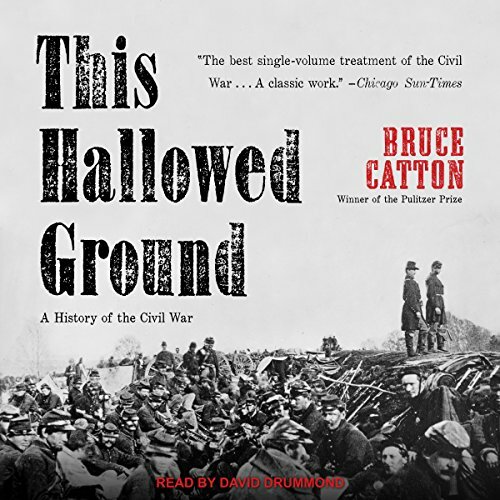 I made the right choice starting with Bruce Canton’s work in “This Hallowed Ground.” Looking back, however, I wish I would have purchased a book of maps with military overlays to supplement the audio book.